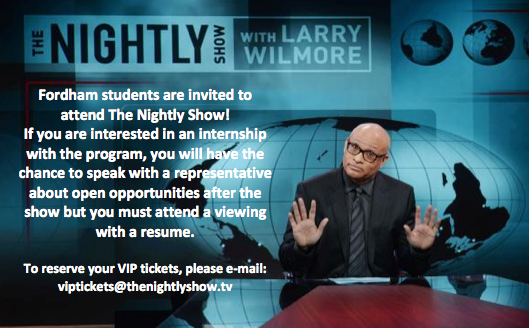 The Nightly Show invites Fordham staff and students to attend the show and experience television behind the screen. For students interested in an internship, you must attend a show with a resume to express your interest. Tickets are FREE and the e-mail link may be reused to attend numerous shows. For professors who wish to make it a class trip or assignment, feel free to forward your request to the e-mail posted for further information from the show’s guest coordinator. 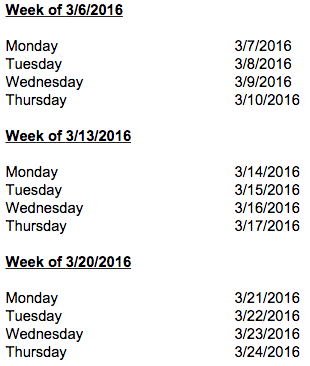 The dates below are available for attendance. Enjoy!